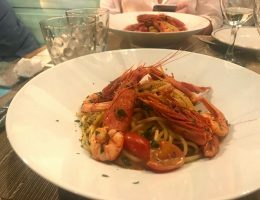 Where to eat in Ponza Island? 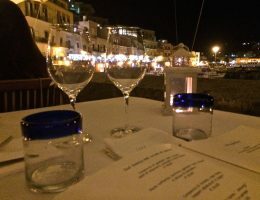 Chiaia di Luna’s restaurant is for sure one of the best romantic dinner restaurants in Ponza Island! 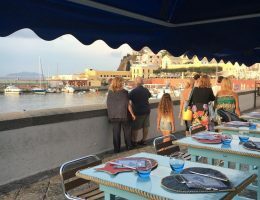 Located in the port area, Trattoria il Pizzicotto is one of the best restaurants in Ponza Island. Expect delicious seafood and accessible prices! 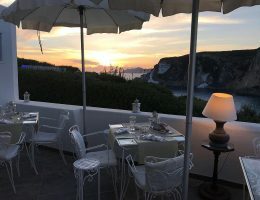 Treat yourself to a dinner at Il Tramonto, a romantic restaurant with a view in Ponza Island. Admire the sunset from the terrace while eating yummy seafood. 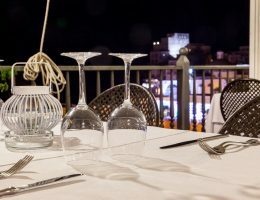 Fresh seafood, a killer view and a Michelin star, that’s exactly what you get at Acqua Pazza – one of the best seafood restaurants in Ponza Island.